Add: Rm 605A, Block D, Hongtaifu Building, Jian’an 1st Rd, Bao’an District, Shenzhen, Guangdong, China 518101. 1. Pounds at zero deflection based on pure radial load. Performance of pivot is a function of number of cycles, angular travel, and loading. Must use life cycle curves for selection of proper pivot. When the load is applied directly through a single spring, multiply capacity by 0.707. 2. 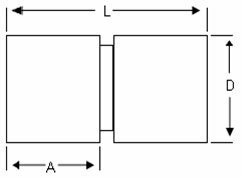 At zero load, Torsional Spring Rate may change with radial load. 1. Pounds at zero deflection based on pure radial load. Performance of pivot is a function of number of cycles, angular travel, and loading. Must use life cycle curves for selection of the proper pivot. When the load is applied directly through a single spring, multiply capacity by 0.707.